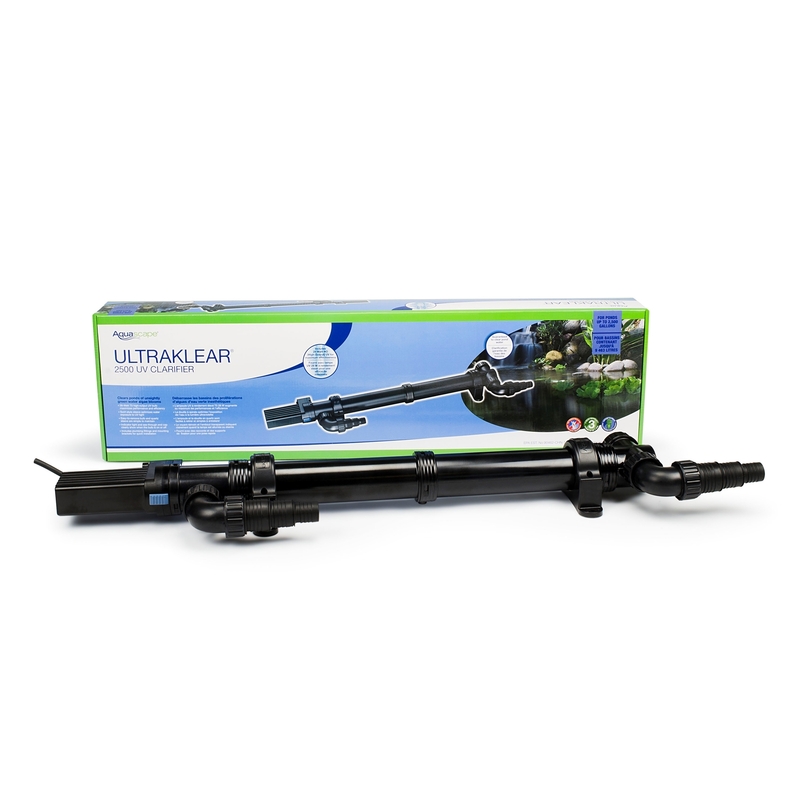 Aquascape UltraKlear 2500 UV Clarifiers safely address algae blooms and green pond water for ponds up to 2,500 gallons. 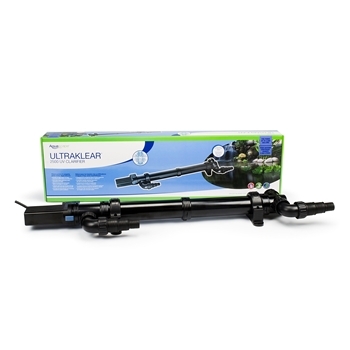 UltraKlear UV Clarifiers used advanced T5 ultraviolet bulbs that are more efficient than normal UV bulbs. 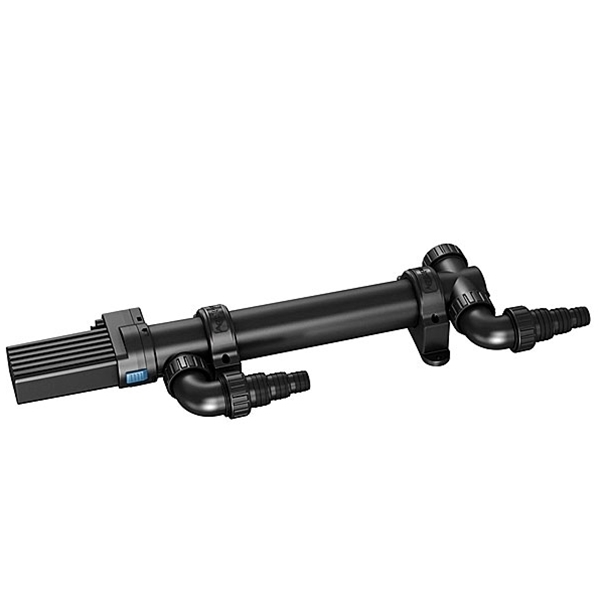 Discharge Hose Fittings: 1", 1.25", 1.5"